David Fincher’s adaptation of Gillian Flynn’s twisted page-turner is a classier affair than the actual book – but as with Before I Go To Sleep, having read the work beforehand is a definite disadvantage, because this is a story that gets its chops from the big reveals it occasionally drops into the proceedings. On the day of his fifth anniversary, bar owner Nick Dunne (Ben Affleck) comes home to find that his wife, Amy (Rosamund Pike) has gone missing. Signs in the house suggest that she has been abducted. A police investigation ensues and as it unfolds, Nick begins to look more and more suspicious… does he actually know more about Amy’s disappearance than he is letting on? 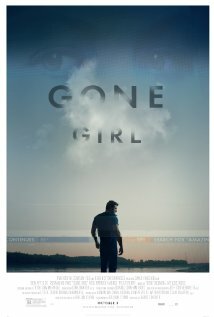 It would be a crime to reveal too much of the plot machinations here because Gone Girl is all about plot. Indeed, Flynn pushes the various twists and turns to such an extent that, in book form at least, the story starts to seem somewhat risible. But Fincher is so adept at creating atmosphere, it’s easier to overlook such shortcomings on the big screen. What’s more he has cast the film so shrewdly, that we believe in characters that on paper seem flimsy. The book’s conclusion was a particular disappointment for me, but again, Fincher manages to make it work. This is an assured production that never loses momentum and which serves its source material well. If you haven’t already read the novel, maybe you should wait until after you’ve seen the film.